A huge part of what ServiceM8 offers is better communication. 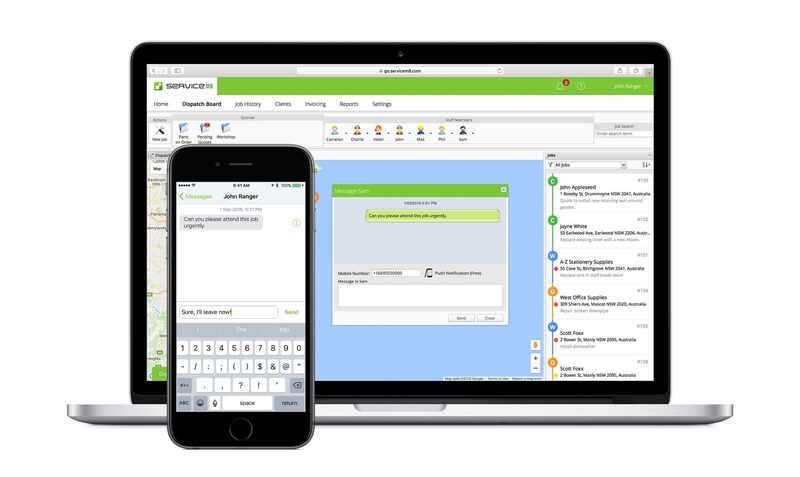 ServiceM8 uses everything great about mobile and cloud-based technologies to make communicating with staff and customers easy, fast and professional. 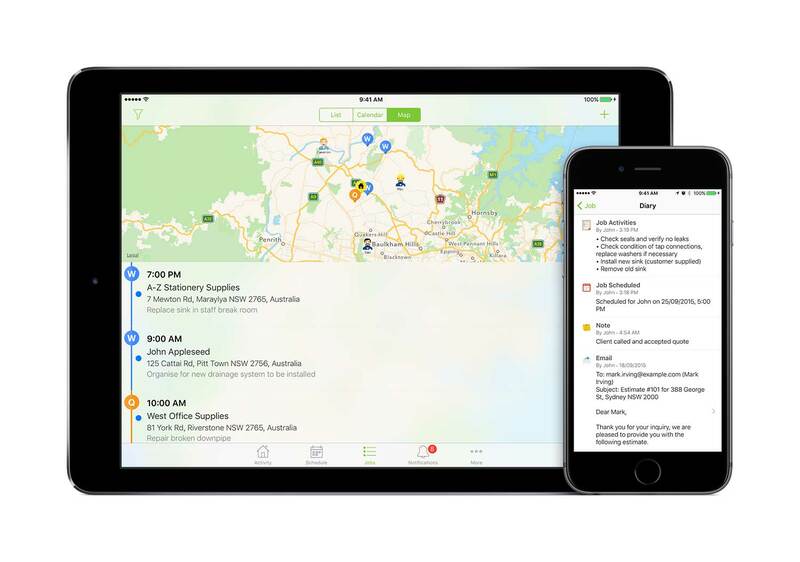 The ability to send email and text messages directly from ServiceM8 makes communicating with clients even easier, whether you're in the office or out in the field. 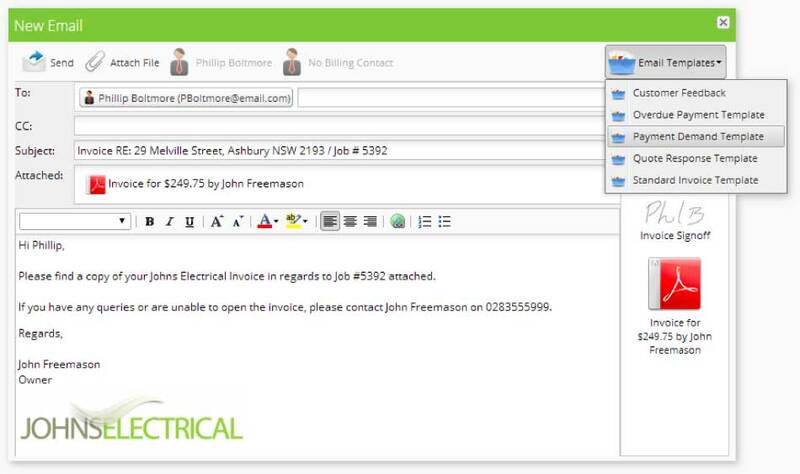 Access all client communication on jobs. 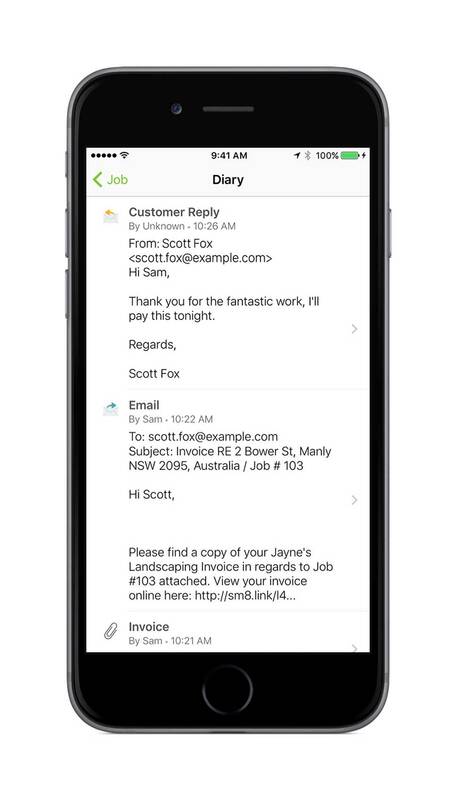 If a customer replies to an email, their response will automatically sync to ServiceM8 and be recorded in the Job Diary for future reference. 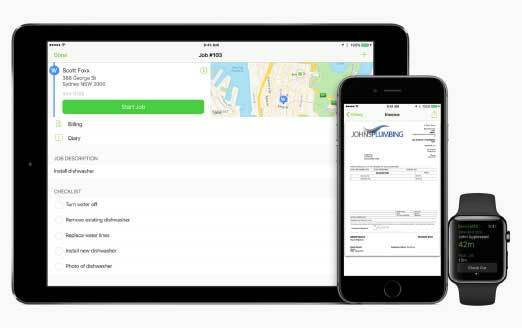 In the office or on the app, customizable email and SMS templates save time and provide a consistent, professional message to clients. They also auto-fill client and job information, adding a personal touch. 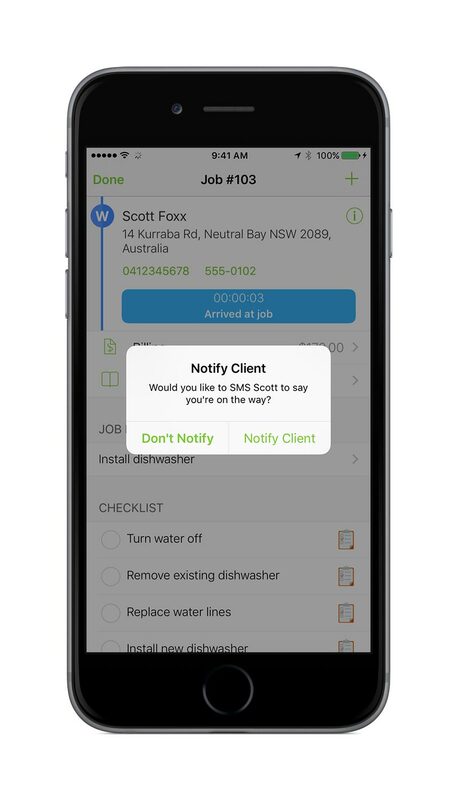 Automatically SMS clients to notify them you're on the way to the job, with an estimated time of arrival. 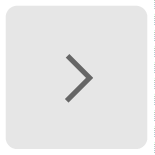 You can even use the Track My Arrival add-on to let customers track your journey in real time. Customers love it. 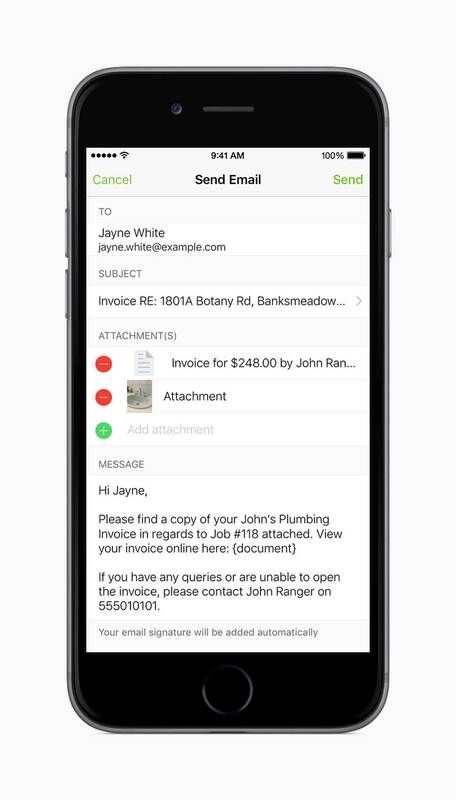 With ServiceM8, you're in touch with your business wherever you are. 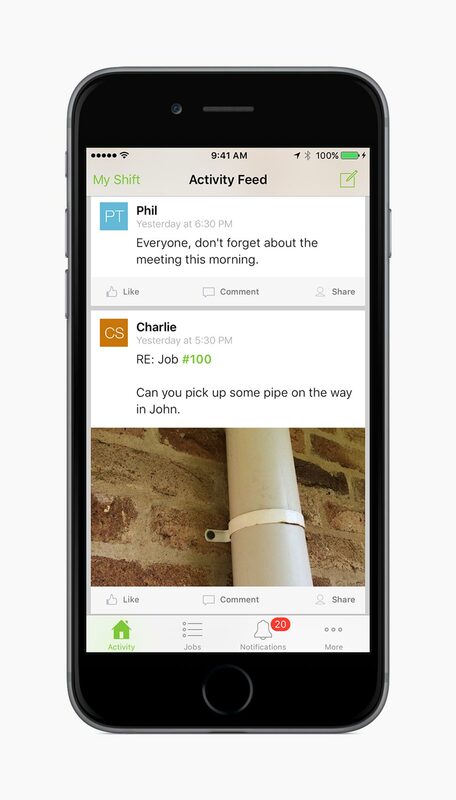 See real-time updates of job progress on site, staff locations, and client communication.